by Josep Lluís Mateo and other authors, Lars Müller Publishers. Zürich, 2010. 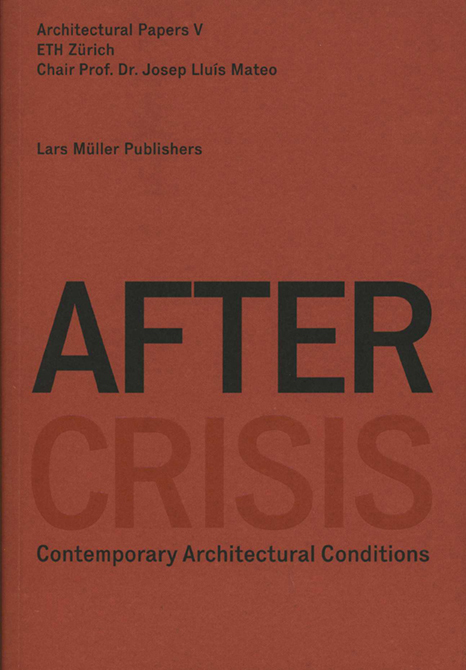 After Crisis concentrates around the new conditions for architectural practice and around the new epistemologies that may inform it in the next future. That is, in the period after the financial bubble has collapsed and living and working conditions have significantly changed. Essays, studies and interviews, along with a selection of indicative projects, tackle the actual issues of growth and shrinking, economy and ideology, craftsmanship and social space in the city, materiality and sustainability in architecture. In a logical sequence, they depict the current reality of architecture.